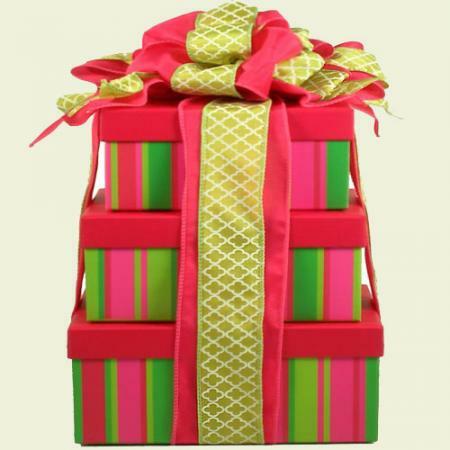 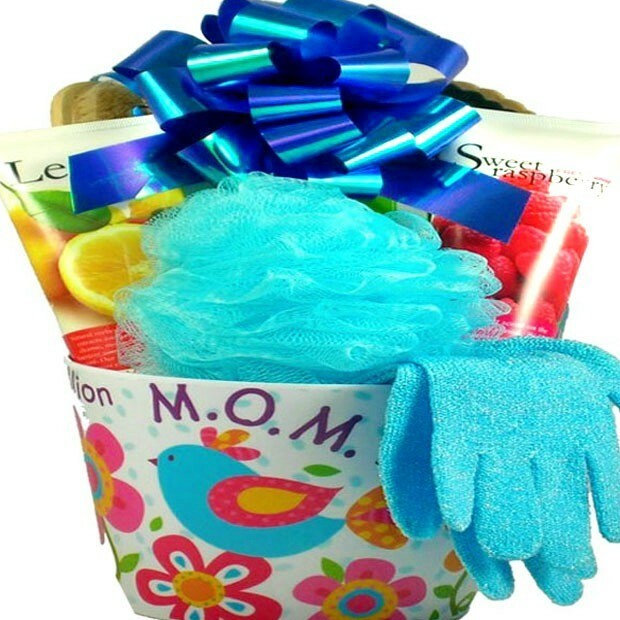 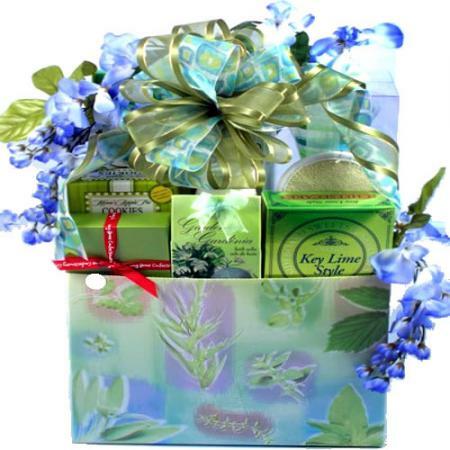 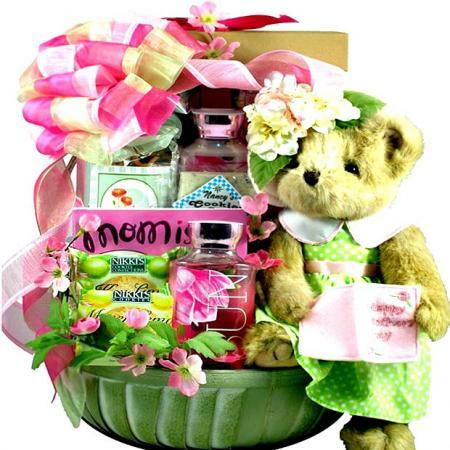 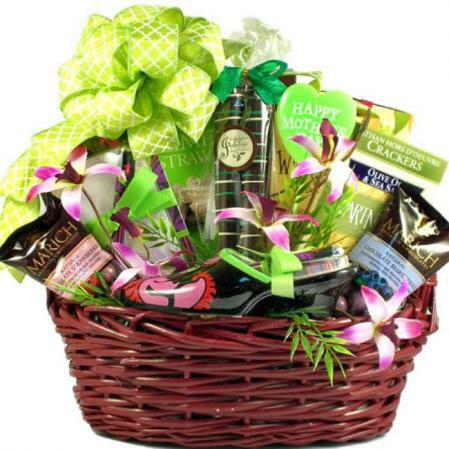 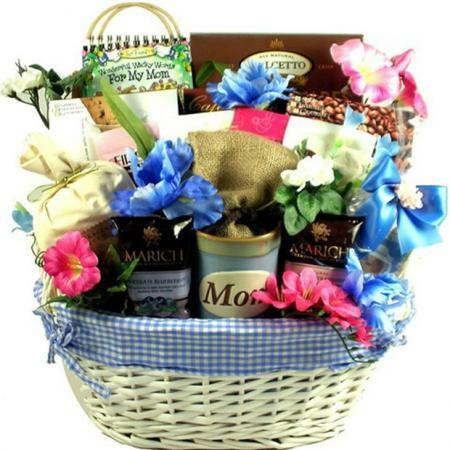 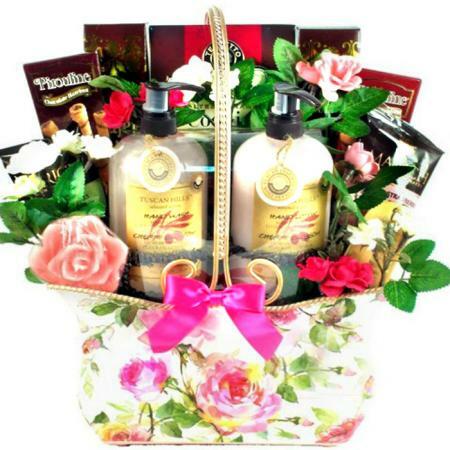 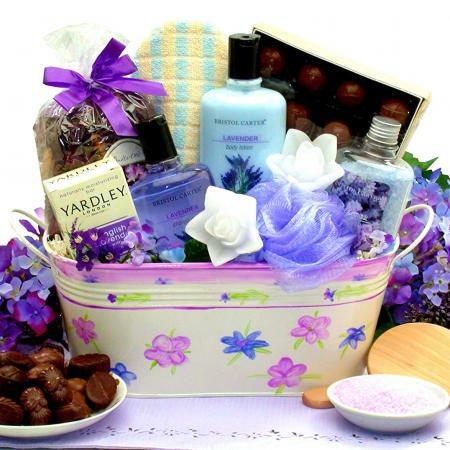 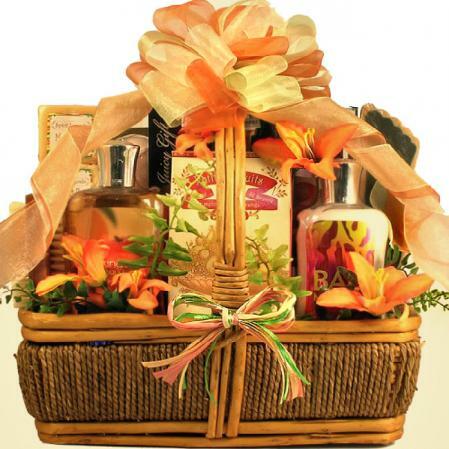 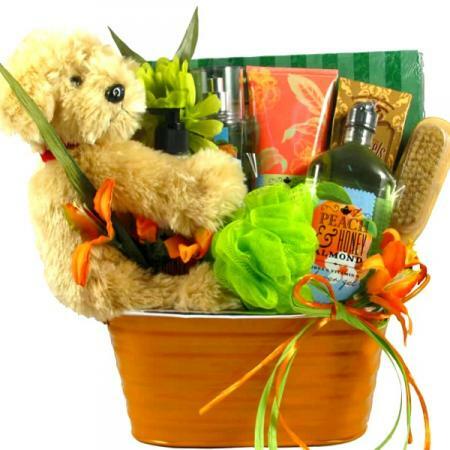 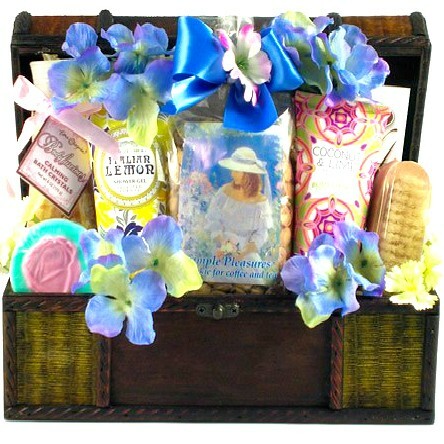 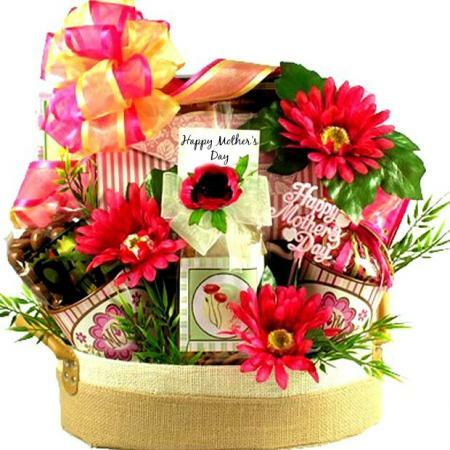 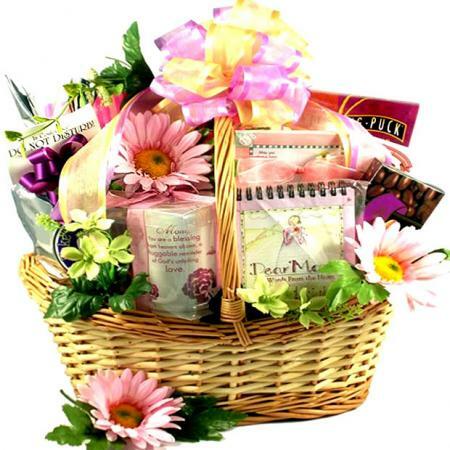 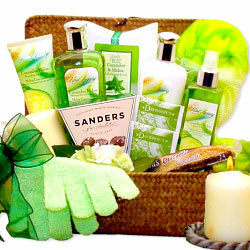 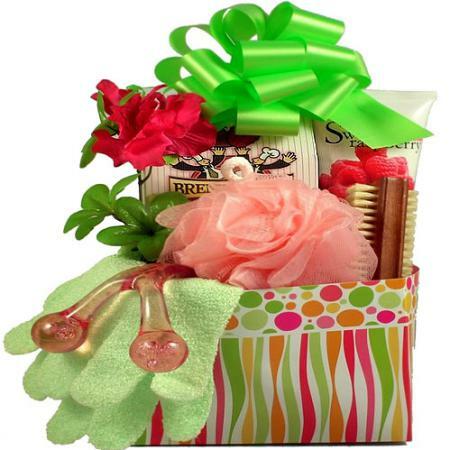 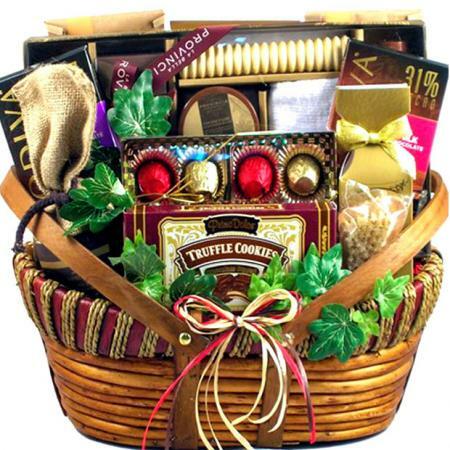 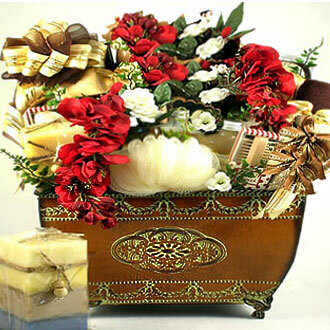 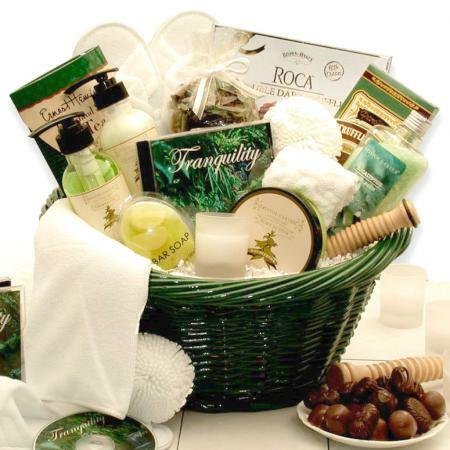 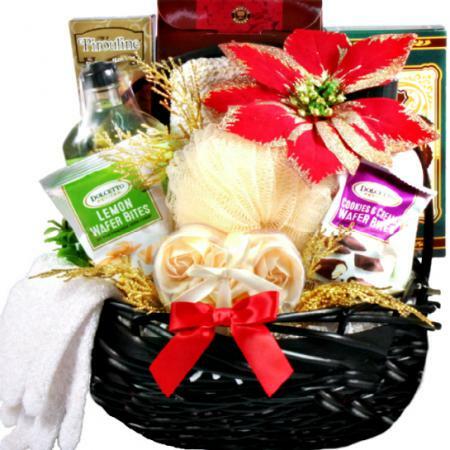 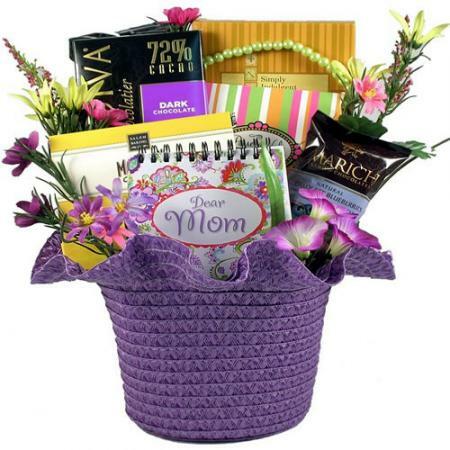 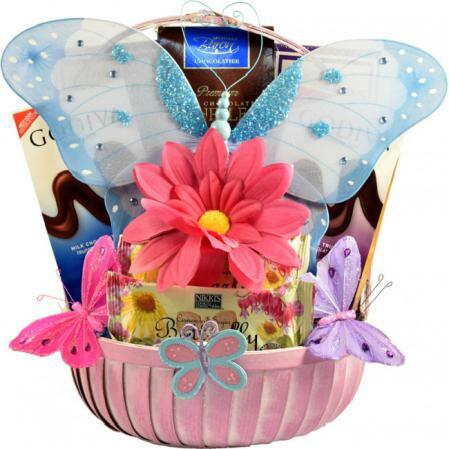 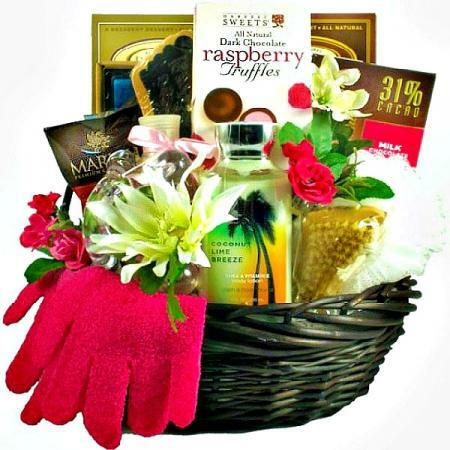 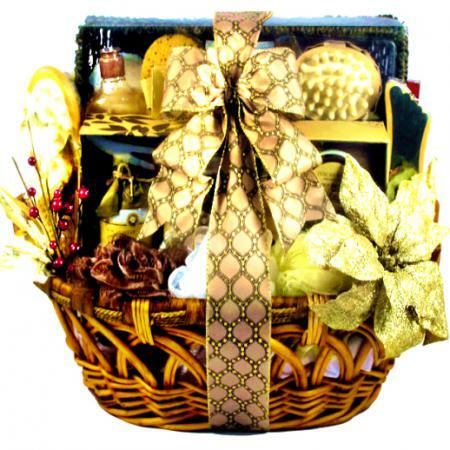 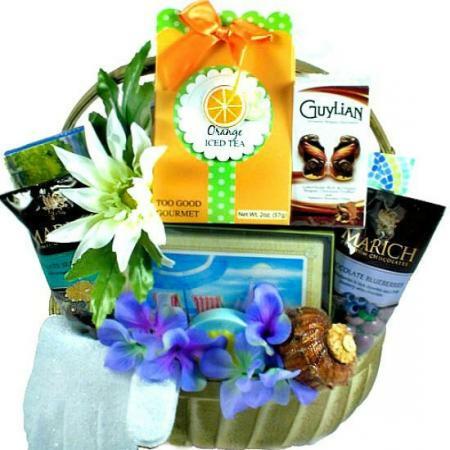 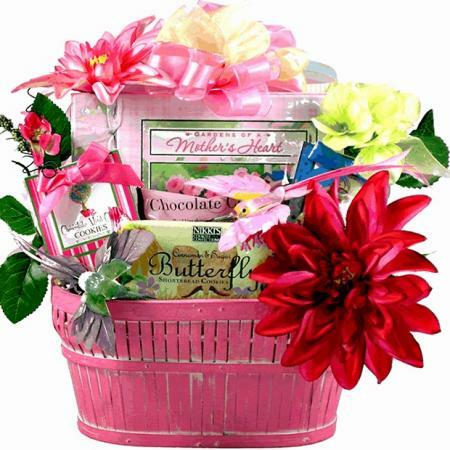 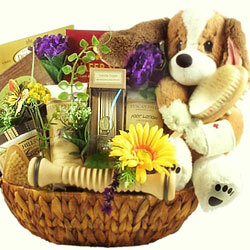 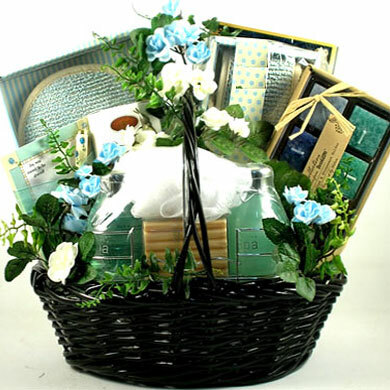 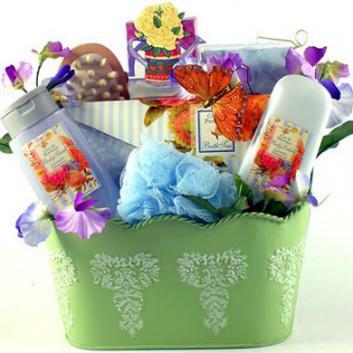 A wonderful gift basket for mom, grandma and every mother figure in your life. 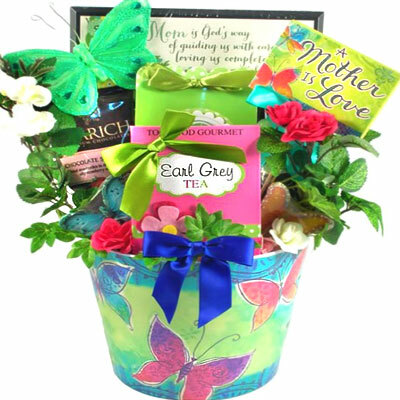 Perfect gift for Mother's Day, birthday or other occasion. 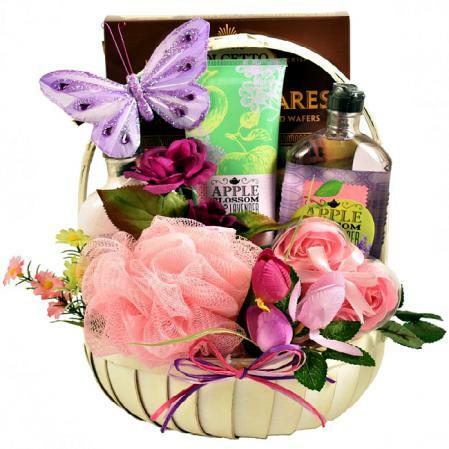 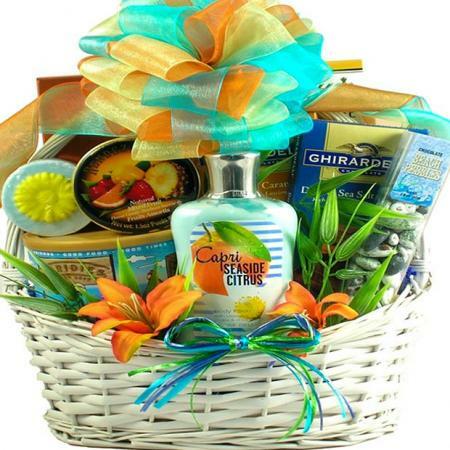 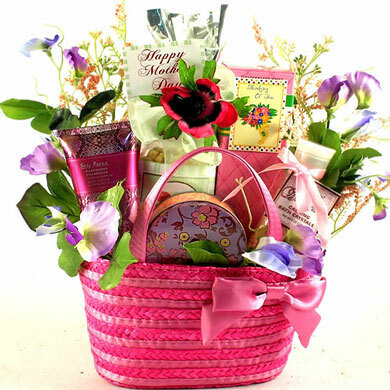 This delightful Mom gift basket filled with a collection of delicious sweets, spa products and wonderful springtime body creams to help her relax and enjoy her special day.